The El Paso County Medical Examiner’s office released a report Friday of its findings in the death of 7-year-old Jakelin Caal Maquin. Jakelin died Dec. 8, just over a day after she was apprehended by Border Patrol agents with her father after entering the U.S. illegally. Jakelin was one of two children to die in Border Patrol custody in December, raising questions about the agency’s ability to care for families. 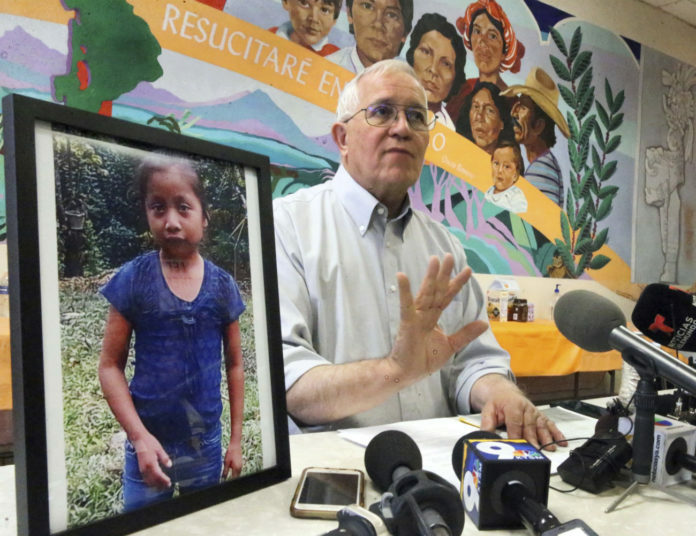 The report says traces of streptococcus bacteria were found in Jakelin’s lungs, adrenal gland, liver, and spleen. The autopsy says she faced a “rapidly progressive infection” that led to sepsis and the failure of multiple organs. U.S. Customs and Border Protection said shortly after Jakelin’s death that she and her father, Nery Gilberto Caal Cuz, were in a group of 163 migrants who were apprehended at about 9:15 p.m. Dec. 6 in a remote part of New Mexico. The father signed an English-language form stating Jakelin was in good health, CBP said, but it remains unclear whether he understood what the form said.